In spite of the hype, DVD is more often promise than fulfillment. Many, perhaps most, of the films presented in the latest video medium contain only the film, with the draw being the clean digital sound and the sharpest visuals available, which for many consumers is lure enough. Some companies, fortunately, take the medium’s interactive possibilities and great storage capacity more seriously. 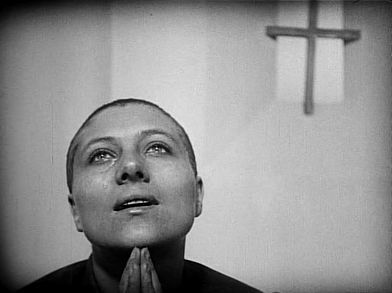 The Criterion Collection’s presentation of Carl Theodor Dreyer's The Passion of Joan of Arc is a stellar example of the full exploitation of DVD. This cineaste’s dream has a gorgeous transfer of the film itself, taken from a restored version of the single good print available, as well as a quite extraordinary array of extras. These include three full audio tracks: the silent version, one with Richard Einhorn’s stunning "Voices of Light" musical soundtrack, and another with informative commentary by Danish film scholar Casper Tybjerg. There are French intertitles and optional English subtitles. There’s a history of the production design with rare stills; a history of the film’s many versions, with clips; an essay by Richard Einhorn on the film and a video essay on the music; a demonstration of the restoration process with scene-by-scene comparisons; an audio interview with Helene Falconetti, daughter of the film’s star; and even a libretto booklet for the "Voices of Light" score. If these aren’t enticement enough, consider the disc’s affordability. Listed at $39.95, it’s widely available through online video stores for less than $30. Not bad for one of cinema’s supreme achievements. The Passion of Joan of Arc is available on DVD from The Criterion Collection in a new transfer with digitally restored image and sound. The DVD contains several special features: audio commentary by Casper Tybjerg, Dreyer scholar from the University of Copenhagen; production notes; the film is accompanied by Richard Einhorn's Voices of Light, an original orchestral work inspired by the film and performed by renowned choral ensemble Anonymous 4, the Nederlands Radio Choir, and the Nederlands Radio Philharmonic; Notes on Voices of Light, including interviews, essays, photographs and medieval texts used for the libretto; an interactive essay on the film's production and the life and trial of Joan of Arc; and a multimedia history of the film's many versions. Suggested retail price: $39.95.